Materials related explicitly to individuals’ immigration case files are restricted. Administrative/Biographical HistoryJean Rose (née Jean Robinstone, b. Manchester, England) was a Scottish-Canadian social worker involved with the War Orphans Project coordinated by the Canadian Jewish Congress, which worked to bring young Jewish people from Europe to Canada during the 1940s and 1950s. She held leadership roles in the National Council of Jewish Women and the Canadian Jewish Congress and was the first female vice president of the Canadian Jewish Congress’s Pacific Region. Born in England to Betsy and Louis Robinstone, Rose and her family moved to Glasgow, Scotland when she was one year of age; she remained in Glasgow until her marriage in 1918 to Benjamin Rose, a Canadian serviceman. In 1919 the couple moved to Vancouver, Canada, where they raised two children, Jack Jr. and Doreen. In the 1920s and 1930s Rose became increasingly involved in Jewish and non-Jewish charitable organizations; this work gathered momentum during the Second World War, when Rose spearheaded a group of Jewish women within the Canadian Red Cross to work for the benefit of overseas servicemen. 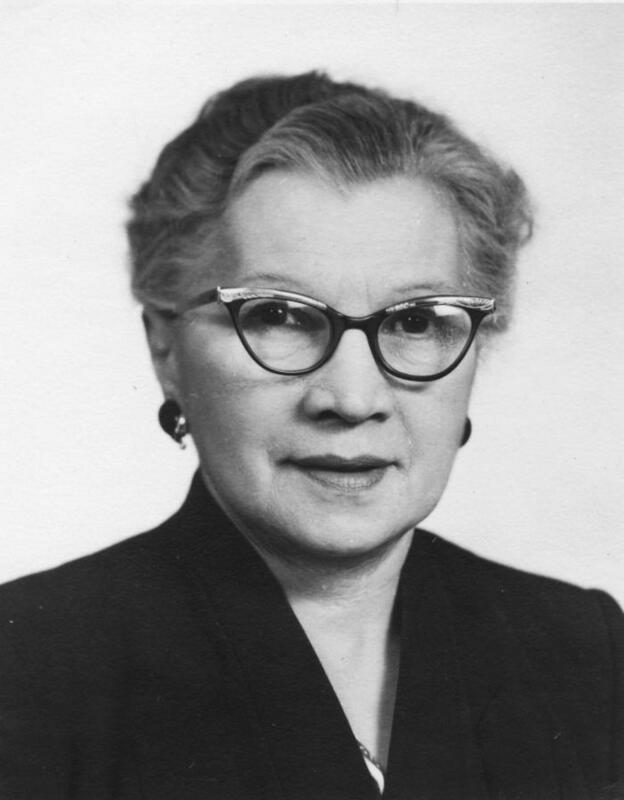 Rose continued to work with immigrants, helping relocate Hungarian refugees of the Soviet invasion in 1956, and was active as late as the mid-1970s, helping immigrants from the Soviet Union. Rose was predeceased by her husband Jack in 1972 and remained involved in charitable causes until her death in 1986. Scope & ContentFonds consists of case files, committee reports and correspondence relating to Rose’s work with Jewish immigrants to Canada in the 1940s and 1950s. Also included are a number of commemorative materials including obituaries and tribute articles. Collection has been arranged into the following series: Immigration case work (1939–1966); Commemorative materials (1939–1959); Audio testimony (1982). Archival HistoryRecords were chiefly maintained by Jean Rose until her death in 1986, after which time they passed to her granddaughter Valerie Rose. Valerie Rose added a number of commemorative and tributary records to the collection and donated the records to the VHEC in 2012. Two audio cassettes of Jean Rose interviewed by Dr. Robert Krell in 1982 were added to the fonds in 2016; these records were produced by the VHEC. NoteMore information about the National Council of Jewish Women available here: http://jewishmuseum.ca/exhibit/more-than-just-mrs/#national-council-of-jewish-women Select records in the fonds have been digitized in order to illustrate fonds and series-level descriptions. System of ArrangementOriginal order has been preserved where it existed. The current arrangement reflects thematic divisions in the records at the time of their donation to the VHEC. Date of DescriptionPrepared by Myron Groover in July 2013. Updated with file list in 2016 by Shyla Seller. Fonds consists of case files, committee reports and correspondence relating to Rose’s work with Jewish immigrants to Canada in the 1940s and 1950s. Also included are a number of commemorative materials including obituaries and tribute articles. Collection has been arranged into the following series: Immigration case work (1939–1966); Commemorative materials (1939–1959); Audio testimony (1982).